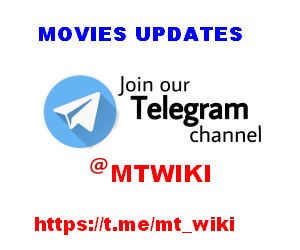 Cast & Crew Varun Tej,Aditi Rao Hydari,Lavanya Tripathi,Etc..
Mihira, an Indian satellite which is disfunctional, is on the course of destroying the entire communication system in the world. Now, its creator, Dev(Varun Tej) is left with no other option but to get things sorted by fixing the technical glitch. Can Dev, along with his fellow astronauts(Aditi Rao, Satyadev, Raja Chebolu) accomplish this mission? What are the complexities they face in the process? and where does Paaru(Lavanya)feature in the set up. The answers to these questions form the remaining story of the film. 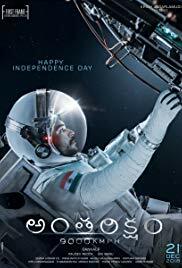 Antariksham is definitely a daring attempt in Tollywood as this genre was not explored in the past, at least on this scale. This space thriller stays true to the theme and never goes off-track. Varun Tej gets a meaty role and he packs the intensity to match it up. He puts up his best efforts for this film. Aditi Rao is good in a supportive role and she emotes really well. Lavanya is seen in a very brief role but she leaves an impact. The graphics are really good and the space visuals are near-to-life. The VFX designing has been executed to perfection and would most certainly give a new experience to the viewers. The main problem with Antariksham is that it lacks proper depth. Most of the scenes relating to technical problems in the space have not been addressed properly. A detailed explanation of the problems and convincing screenplay was required to make-believe the audience. The second half had a lot riding on it, but the drama goes missing when it matters the most. As a result, a few key scenes came out underwhelming. Varun Tej going missing in outer space and coming back from nowhere. A satellite traveling at 7000 KMPH docking at the International Space Station with pinpoint precision. Scenes like these look a bit too far-fetched.